A 90 - minute guided tour of the house will be followed by coffee/tea, biscuits and cake. 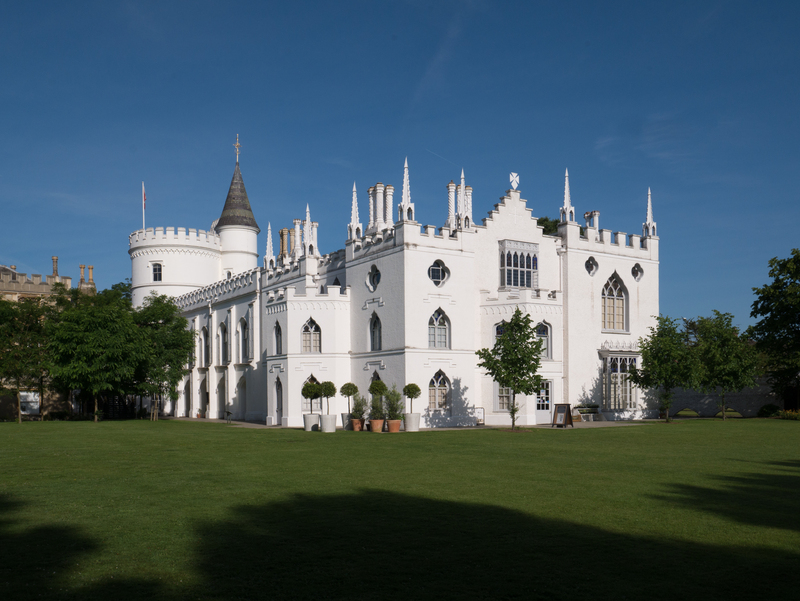 Horace Walpole’s Strawberry Hill House is the earliest and finest example of Gothic Revival architecture and interior decoration in Britain. Walpole developed the eccentric style (which was also used, a century later, for the Houses of Parliament) as a reaction against classicism and Palladian architecture. He had just returned from an inspirational grand tour of Italy, during which he had acquired many objets d’art. Walpole, son of Britain’s first Prime Minister, was a writer and author of the gothic novel, The Castle of Otranto. He built the house partly to house his vast collection of paintings, books, antiquities, furniture and ceramics. One room, the Tribune, is named after the Tribune in the Uffizi Palace in Florence. Sadly, Walpole’s collection was sold and dispersed in 1842. Some of it has been reassembled in the United States; but a few items have been re-acquired or reproduced and restored to the house. The building itself, and most rooms, have recently been fully restored to look exactly as they would have done in the Georgian period, when Walpole died in 1797. Twickenham was extremely fashionable in the 18th Century, occupying a point on the Thames half-way between the royal palaces at Richmond and Hampton Court. The town attracted many writers and artists, including Alexander Pope, whose villa was only 200 yards away from Strawberry Hill. Silvia Davoli, Research Curator at Strawberry Hill, will act as our guide. - to Strawberry Hill station. Two trains per hour in each direction on a circular route from London Waterloo via Richmond or Kingston/Wimbledon. The house is a five to ten minute walk from Strawberry Hill station. Follow the signs at the end of each platform. - to Richmond (by South Western trains, District Line or London Overground). Then catch an R68 (Kew to Hampton Court) bus outside the station – or a 33 (Kew to Fulwell) bus from Richmond Bus Station. Alight at Michelham Gardens (R68) or Waldegrave Road (33). There is a free car park at the house. The Thames Path is only three minutes away from the house. A pleasant riverside walk can be combined with an afternoon visit to Walpole’s fantasy villa.